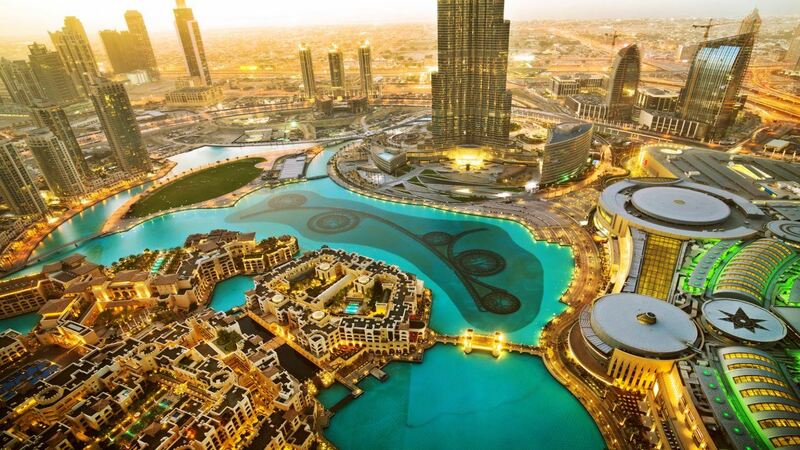 Glittering and extravagant, Dubai knows first impressions count – this is a city that makes an impact. 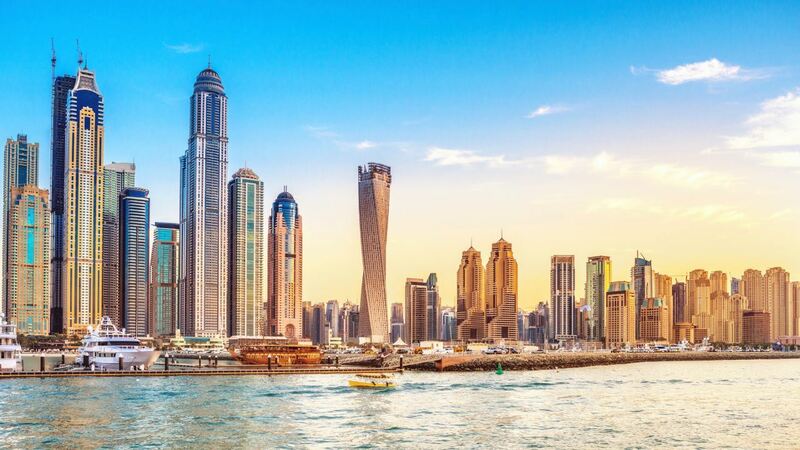 Guaranteeing excitement from the moment you arrive, this sprawling metropolis grabs your attention and leaves you completely in awe of its beauty. 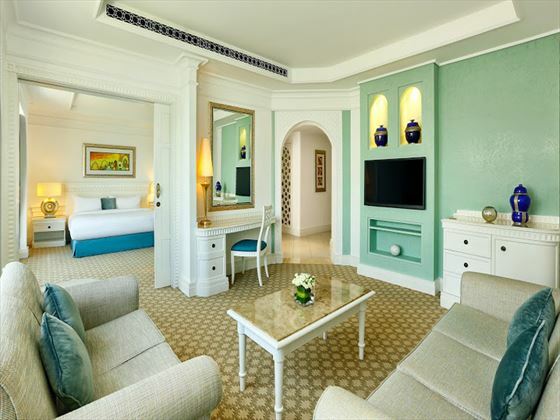 Spend time on the beaches looking out to clear turquoise waters, go shopping at the world-famous malls and souks, or dine in gourmet restaurants and savour an array of flavours. 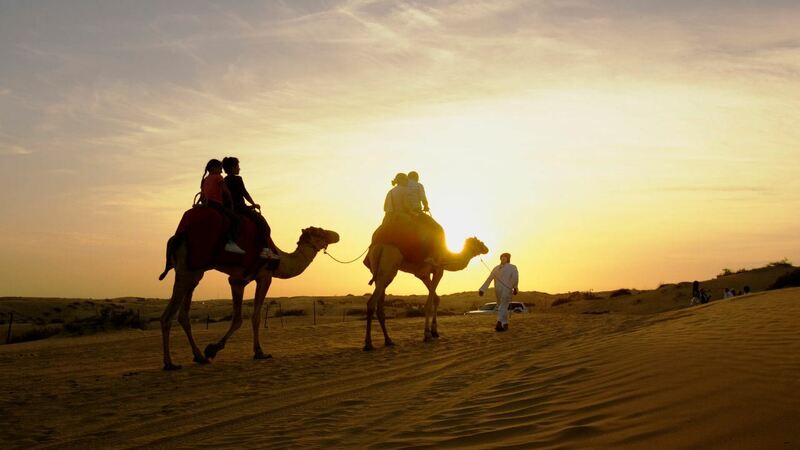 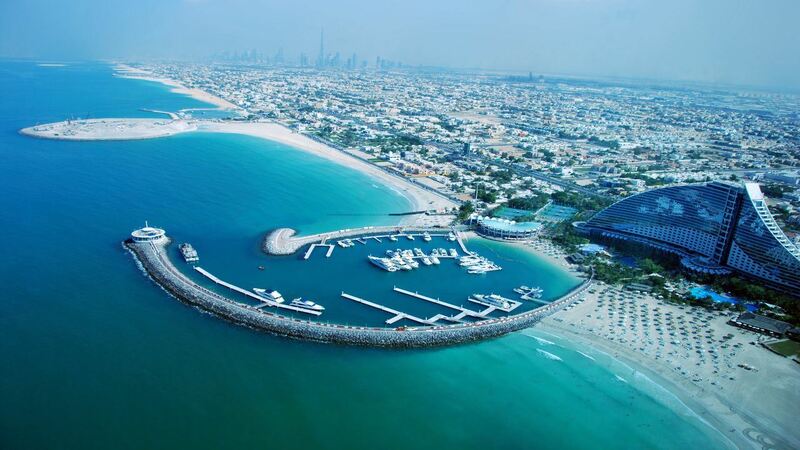 Whether you’re adding on a few days to the end of your trip or breaking up your journey to Australia with some time in this great city, Dubai is a destination to suit all ages. 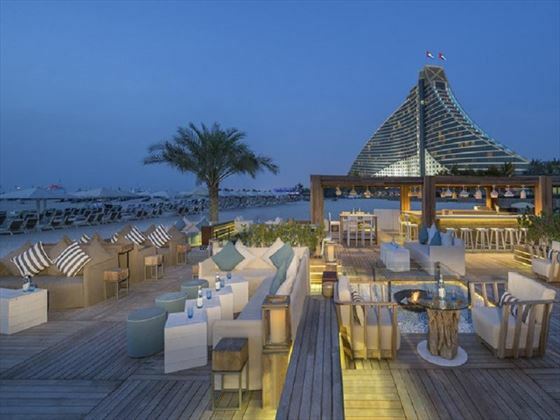 This striking wave-shaped hotel sits on Dubai's Jumeirah Beach, offering 5-star luxury and superb levels of service for an unforgettable break in this amazing city. 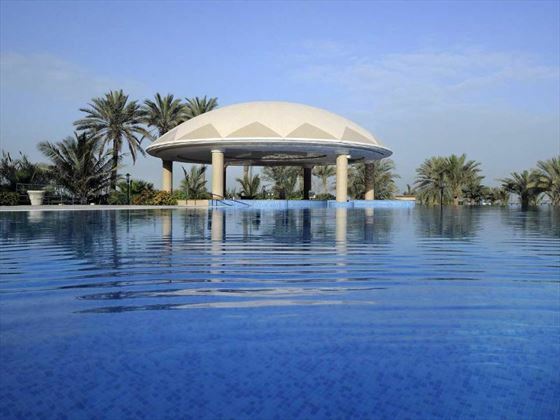 With a superb kids club and complimentary access to the nearby Wild Wadi Waterpark, the hotel is a great choice for families. 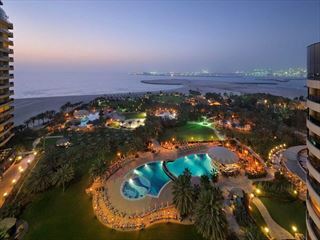 But couples are well looked after too, with a fitness club, lavish spa treatments and a huge range of restaurants to try out. 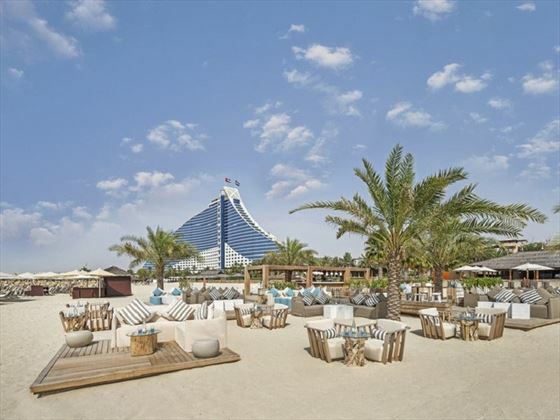 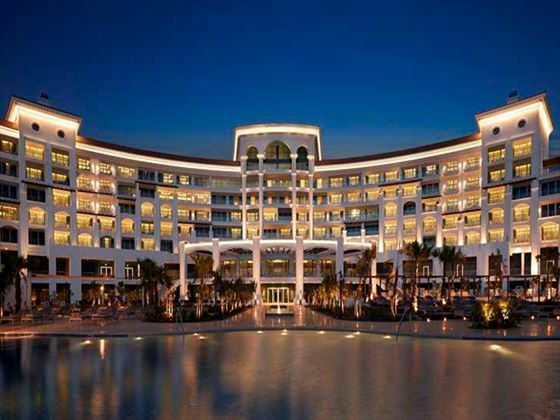 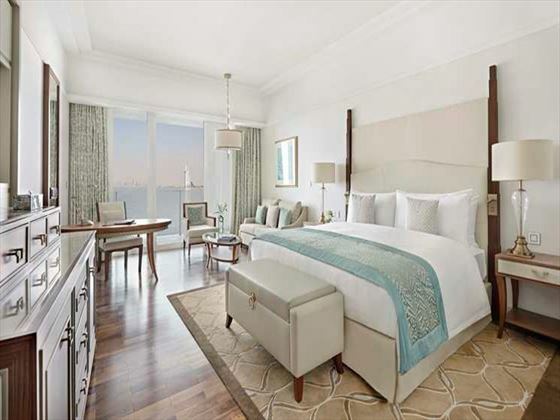 A premier Dubai beach resort, Le Royal Meridien enjoys wonderful views out onto the Arabian Gulf from wonderfully comfortable and luxurious accommodation. 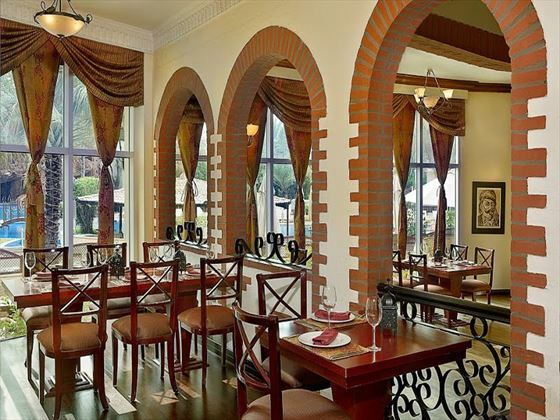 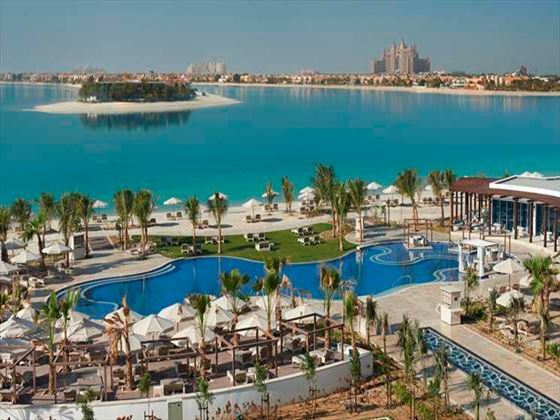 Suitable for all ages - the resort caters to adults with a fantastic Roman-themed spa and great proximity to Dubai's many attractins, while the children will love the Penguin Kids Club and kids swimming pool. 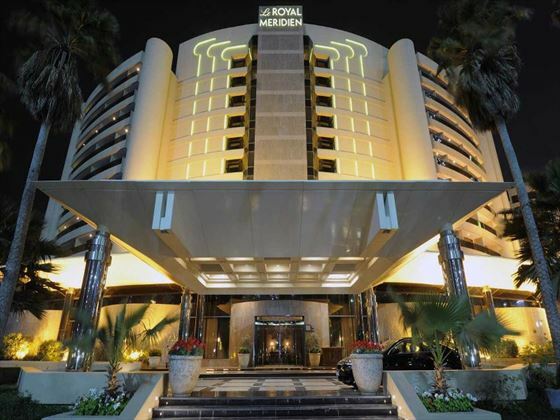 Nestled on The Walk and only a short stroll away from Dubai’s best shopping and dining spots, this ultra-modern hotel offers glamour and excitement in close proximity to the city’s popular attractions. 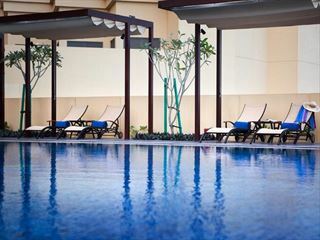 Perfect for families, kids can spend their time at the jungle gym, outdoor playground and shaded kid’s pool as parents soak up the sun, before grabbing a free shuttle to the main malls and a private beach resort. 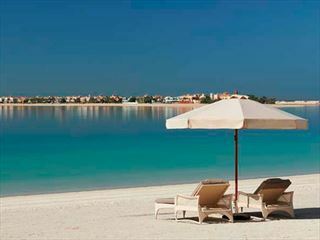 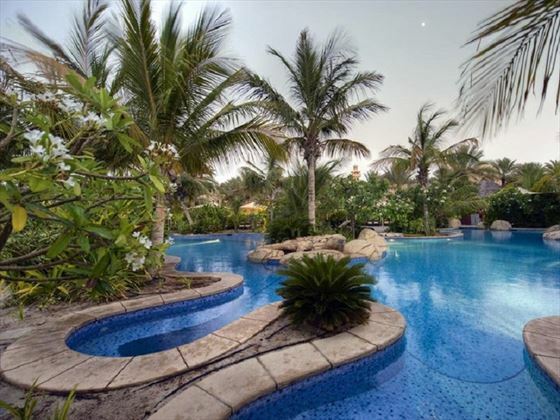 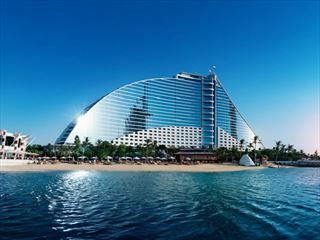 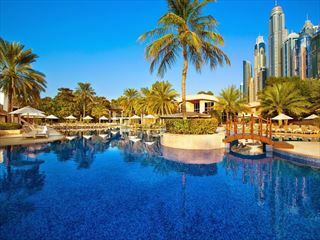 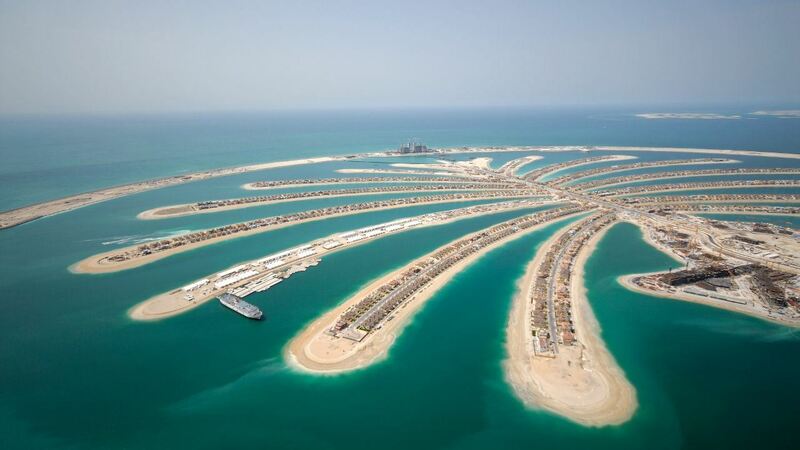 Fast becoming one of the most popular resorts in Dubai, this hotel is perfect for those looking for a bit of fun. 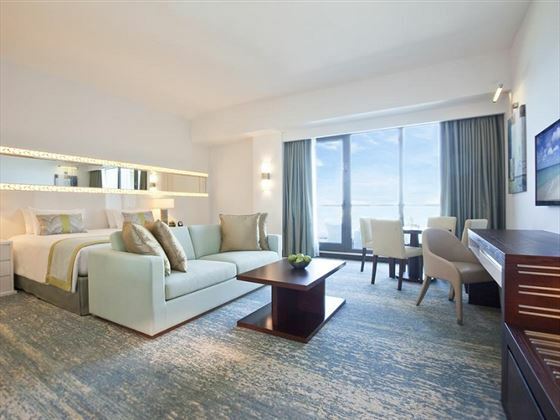 If the infinity pools, outdoor Jacuzzis, international restaurants and 5* spa aren’t enough, this beautiful Middle Eastern hotel is adjacent to the Dubai Marina, offering the best attractions right on your doorstep, as well as private beach access, and fantastic golf courses nearby. 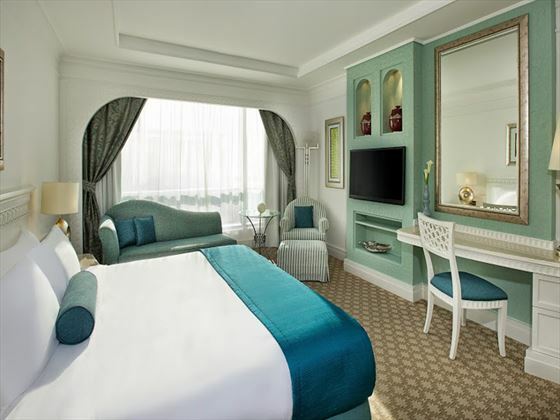 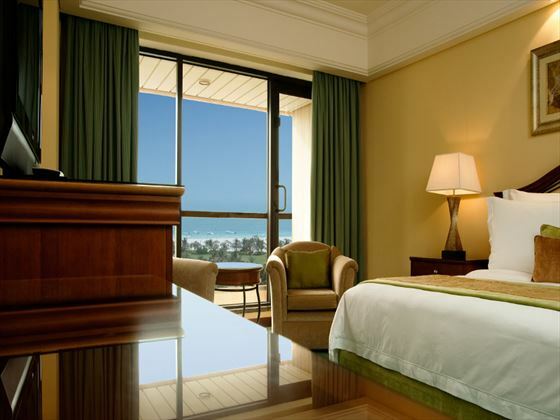 If you fancy style, opulence and elegance, this fabulous hotel has all you need. 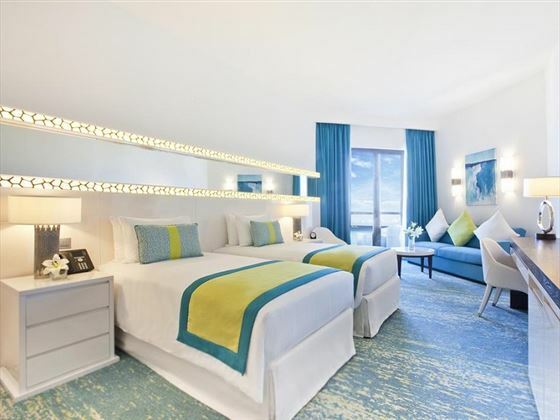 The picture-perfect, almost tropical location can be seen from most of the airy, sea-facing rooms and suites - the private beach beckoning you to sink your toes in the warm sand. 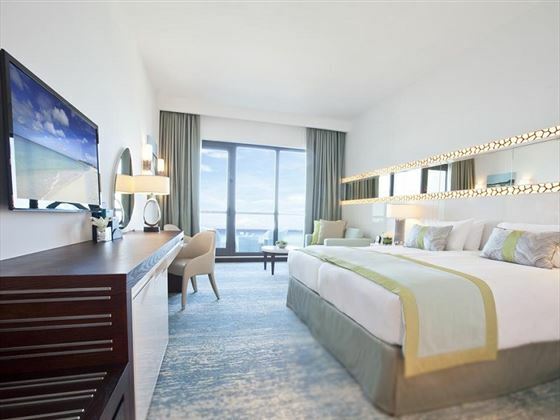 Stellar views and comfortable rooms aren’t all though - there’s a fantastic kid’s club, fun leisure activities, and 3* Michelin chef Heinz Beck’s fine dining restaurant, Social, to enjoy here too.